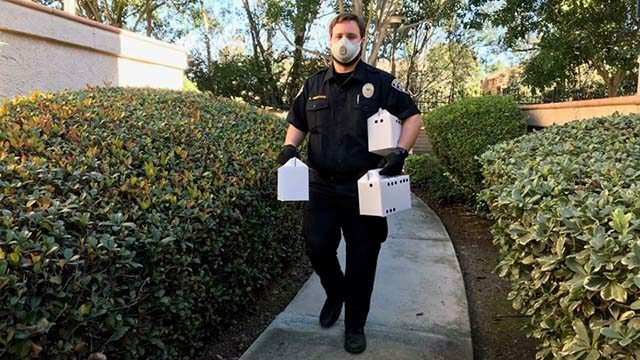 San Diego Humane Society officers seized more than 80 birds Wednesday that were being kept in unsanitary conditions in a Rancho Bernardo apartment. Veterinarians from the Humane Society examined each bird before taking them to the organization’s San Diego campus. The birds, mostly cockatiels, will be quarantined for further examination for possible diseases. “It is extremely sad to see animals living like this, but we are glad we are able to get these birds the care they need,” said Humane Society Law Enforcement Sgt. Laurel Monreal. Humane Society law enforcement officers, akin to animal control personnel, are continuing to investigate the case. The Humane Society encouraged residents to report similar animal emergencies or neglect by calling their animal-related emergency line at (619) 299-7012, which is answered between 7:30 a.m. and 6 p.m. daily.